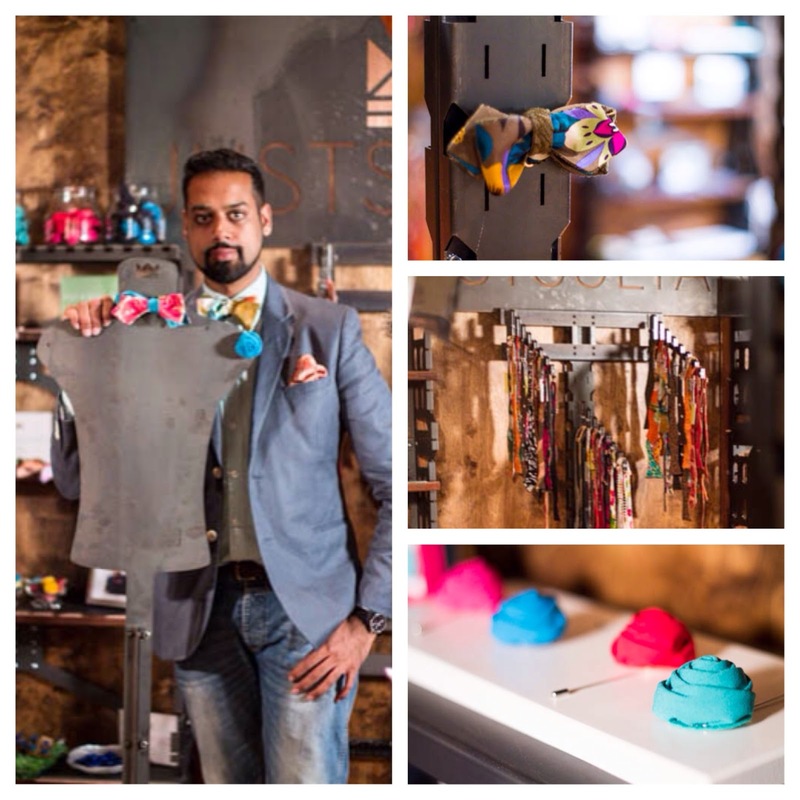 Q: What is Just Sultan, and what inspired you to launch your own men’s accessories business? 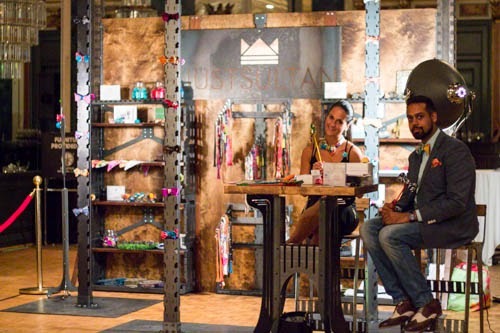 A: Just Sultan is an accessories line for both men and women. The product line consists of bow ties, pocket squares, and lapel pins for now. We try to have everything handcrafted locally with the exception of a few small accessories that are imported. We are collaborating with a few local companies to bring our clients something that is totally new. Stay tuned! I’ve always been a fan of patterns and bright colours. I was looking for a bow tie to complete my outfit and I just couldn’t find anything that would suit my personality and style. I started finding everything to be fairly plain and generic so I decided to design my own. And now we have Just Sultan! Q: Define your collection’s style – and what type of gentleman are you designing for? A: Whimsical, colorful, bold and fun. It’s for men and women who are forward in their thought and style. Just Sultan is all about having fun and expressing yourself. I feel that my brand is intended for someone who is in search of that extra punch of colour and something unique. Q: How do you think TOM* will impact Mens Style in Canada? A: As the first men’s fashion week in Canada and the eighth one in the world, TOM* will provide menswear designers the perfect stage to showcase their designs for years to come. TOM* was an excellent networking opportunity and allowed me to introduce my brand to industry leaders. I think as the brand of TOM* strengthens, it will become a venue for new and emerging designers to build strong brand identity and gain recognition that they may not normally receive without spending a fortune on PR and marketing activities. Q: Where do you see your Just Sultan 10 Years from now? A: We’re just 20 weeks new… That’s a long time away, let’s see what happens! Q: Which styles are your favourite from your collection? A: That’s a tough question. Each style is unique and I love them all. I like the brighter and funkier ones more. And I love texture so the textured fabrics are always a favourite. I actually keep one of every piece I create – I like them all THAT much! Q: Where can customers purchase your amazing collection? A: Lavish and Squalor at Queen and Simcoe. Check out the Brand’s Behind the Scenes footage of their first look book shoot! I hope you loved reading this interview and seeing Sultan’s amazing work – be sure to visit www.JustSultan.com for a look at the brand’s for information!